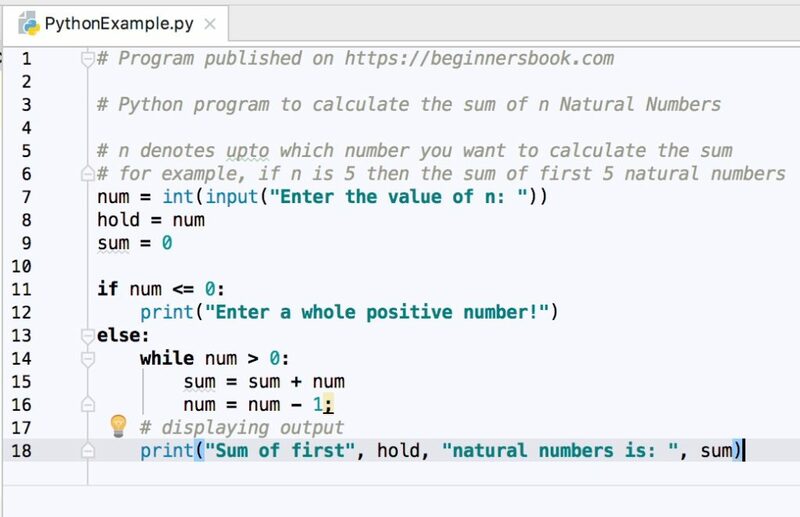 In this tutorial, we will write a simple Python program to calculate the sum of first n natural numbers. In this program we are not using the natural number addition formula n(n+1)/2, instead we are adding the natural numbers using while loop. The user is asked to enter the value of n and then the program calculates the sum of natural numbers upto the entered value n.
Enter a whole positive number!